Manchester United clinched three vital points against a heartbroken Crystal Palace on Monday night, as they came from behind to regain the second spot in the Premier League. A game which was a sheer testament to a vintage Red Devils’ performance saw the visitors concede twice before they eventually decided to turn on their age-old classic swagger. Palace took an early lead with an Andros Townsend shot which flew into the back of the net after taking a huge deflection of Victor Lindelof. The hosts looked in-charge during the first half, as United’s on-field players looked off their game. And things went bad to worse come the second half, as a quick free-kick in the 48th minute was buried into the back of the net by Patrick van Aanholt, which gave the Eagles what looked like an unassailable two-goal lead. However, Chris Smalling’s open header cut short Palace’s advantage to one goal just after seven minutes, and that’s when Selhurst Park felt a vintage Man United comeback could be on the cards. Romelu Lukaku provided the Old Trafford outfit with their second goal of the night, after an Alexis Sanchez shot deflected off the crossbar to fall right into his feet. But it was Nemanja Matic who stunned the South London club with a blistering volley in the 91st minute to secure all three points for his side. The emotion from both ends was phenomenal, but it was one man on the pitch who caught everyone’s eye with his celebration after the Serbian’s shot flew past Wayne Hennessey into the goal. 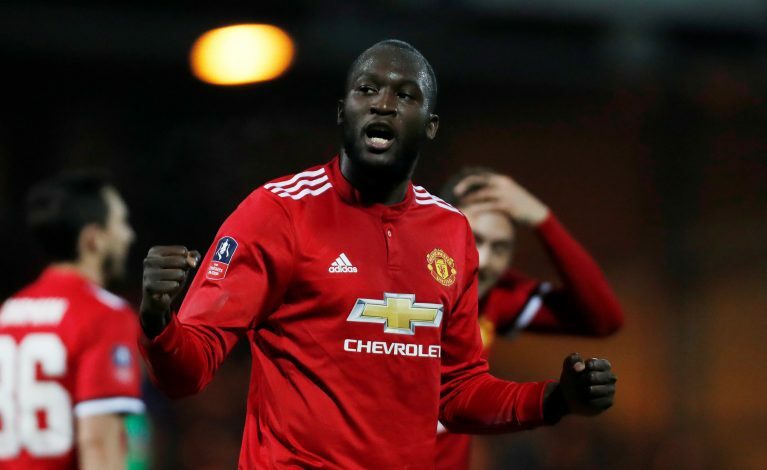 Lukaku was left beating the ground in celebration, after the Belgian striker fell to his knees to exuberate his passion for the club and show how much the injury-time winner meant to him and his team. Lukaku celebrating Matic's goal is every Man Utd fan right now.